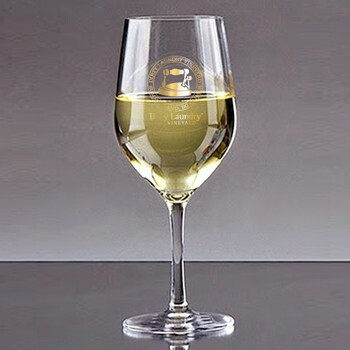 Puddifoot Crystal White Wine Glass w/ Dirty Laundry logo. Our exclusive Puddifoot glassware offers a fine glass quality and a pulled-stem design for extra strength. Holds 350 ml.